Dennis McGonagle is a Academic Professor Rheumatology at the University of Leeds. He has been researching enthesitis since 1996. Together with his colleagues and collaborators he has defined the importance of enthesitis in rheumatology he has thus far contributed to many novel observations with respect to enthesopathy. His original work showed that clinically unrecognised inflammation on insertions was common in swollen joints in psoriatic arthritis, ankylosing spondylitis and reactive arthritis (McGonagle D, et al Arthritis & Rheumatism 1998) . He subsequently developed the enthesitis theory of the seronegative spondyloarthropathies which postulated that inflammation at the enthesis was primary and thereafter inflammation spread into the adjacent joint lining, adjacent soft tissues and into the bone (McGonagle D, et al, Lancet, 1999). Although contentious at the time and difficult to prove unequivocally in humans this theory has been repeatedly shown to hold up in disparate animal models of inflammatory arthritis. He has worked closely with Professor Michael Benjamin from Cardiff and this clinical-anatomical pairing has lead to several novel concepts of the enthesis. They defined the concept of the enthesis organ which recognised enthesis are much more than just focal insertions but that insertions dissipate forces over a wide area. This is important for understanding the nature and scope of pain and inflammation associated with enthesis disorders. With Michael Benjamin he also recognised the importance structures that whilst not inserted to the bone behave functionally as enthesis including fibrocartilaginous synovial joints and wrap around tendons these structures have collectively been called functional enthesis. As part of a UK MRC Clinical Scientist Fellowship, McGonagle's group showed that clinically unrecognised enthesopathy was extremely common in hand osteoarthritis as determined by high resolution magnetic resonance imaging. These observations resulted in a new mechanistic classification of osteoarthritis recognising the importance of enthesopathy as a major initiator in some types of osteoarthritis related pain in some subjects. The importance of the enthesis in osteoarthritis is only just beginning to be appreciated. His work has also shown that the nails are actually anchored directly to tendons and ligaments in the fingers and toes. This offered new insights into the link between the nail and skeletal inflammation and is the subject of trying to predict which people with skin psoriasis will develop enthesopathy and arthritis. Remarkably it turns out that the nail is the most unusual enthesis of all and directly links the skeleton to the outside world. With his colleagues at Leeds he reported an extensive the use of MRI as an outcome measure for measuring enthesitis has been pioneered to show that enthesitis related pathology is exquisitely sensitive to suppression of the tumor necrosis factor blocking drugs. He is a world authority on the diagnosis and treatment of enthesitis and is active in researching disease mechanisms and therapy of enthesitis. Michael Benjamin is an Emeritus Professor at Cardiff University (UK) where he held the position of Professor of Musculoskeletal Biology and Sports Medicine Research. He has published over 170 full length articles during his career and of these approximately 130 of these relate to connective tissue research and entheses in particular. He published his first article on entheses in 1986 - a paper in the Journal of Anatomy simply called 'The histology of tendon attachments in man'. Over 30 of Mike's articles on entheses have been authored jointly with Dennis McGonagle. Mike is an anatomist with a wide knowledge of both gross and microscopic anatomy that has come from decades of teaching the subject to generations of medical students. Dennis's background has been detailed elsewhere. It is our complimentary expertise (Dennis as a Rheumatologist; Mike as an Anatomist) that has enabled the two of us to forge such a productive collaboration over the last 12 years. Mike's major interests and thus contributions to enthesis biology have been his insights into normal enthesis architecture.There is probably no one else who has focussed so much effort into understanding the structure-function relationships of entheses. In particular, the concept of an 'enthesis organ' has enabled clinicians to view enthesopathies in a broader context than hitherto. Mike and Dennis first used this term in a review article called 'The anatomical basis for disease localisation in seronegative spondyloarthropathy at entheses and related sites' that was published in the Journal of Anatomy in 2001 (vol 199, pp 503-526) . This article remains of great interest to rheumatologists today for it portrayed entheses in a way that had not been attempted before. Although it is difficult to single out individual studies from his (and Dennis's) collective work on entheses, it is undoubtedly the case that his anatomical observations on the close relationship between certain entheses and nail plates has been of great interest to rheumatologists and dermatologists alike. Mike was awarded an honorary MD in 1998 by the University of Linkoping, Sweden for his contributions to sports medicine research and his excellence as a scientific teacher. In 2001, he was awarded the Messner prize for Sports Medicine Research and in 2009 he received the Anatomical Society Medal for his research. 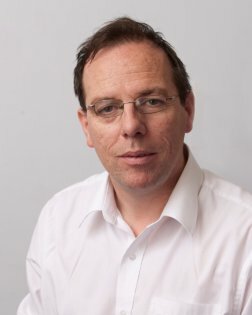 Mike is the founding Director of the Wales Virtual Institute of Sport, Health and Exercise Sciences and a former Head of the Connective Tissue Biology Research Group at Cardiff University. He has acted as both Treasurer and Meetings Secretary for the Anatomical Society and has been a visiting Professor at the AO Research Institute in Davos, Switzerland. He has served on the editorial board of several academic journals and is widely regarded as a leading world authority on tendons and ligaments. This is evidenced by the large number of invited talks and keynote lectures he has given at numerous major conferences all over the world.